It’s been two months since Nexus One was launched. 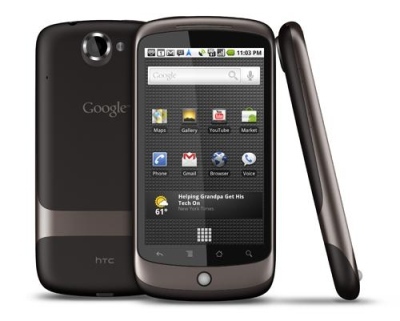 Google hasn’t officially made any statements regarding sales, but Flurry (analytics firm) estimates that 20,000 Nexus One’s were sold during the first week and 80,000 in the first month. These numbers made Goldman Sachs (investment firm) lower their expectations in terms of Nexus One sales. Initially they estimated Google would sell 3.5 million phones in 2010 but now they estimate just 1 million. Despite being aware that Nexus One will become available in more countries and more network providers in the US, Goldman Sachs apparently still believes they will only sell 1 million phones in 2010. At the same time, they expect Google to launch another Nexus phone and to promote it more aggressively, thus selling 2 million units in 2011. Google, if you’re reading this, just ship me a Nexus One and I’ll review it for you! Guess they must be all Droid’ed out. Then again that is not selling hot either. The palm pre was also a flat out failure. Guess Apple is the only one to get the fans. .-= Brad´s last blog ..How To Install A Hard Drive [Video] =-. Cheers for the post. It’s gonna take a year or two until Google enter the market. iPhone is unbeatable at the moment. Google will need to increase their apps and learn the market until they can conquer that sector.